A roulade is an exciting dinner recipe that never disappoints. 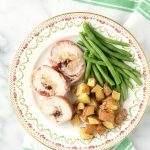 Turkey Roulade with Apple-Cranberry Stuffing and a Bacon Weave is perfect for holidays and entertaining! Sometimes an occasion calls for a special dinner recipe. 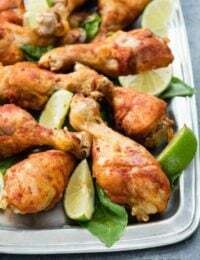 One that’s perfect for entertaining guest, for a holiday like Thanksgiving or Christmas, or just to elevate a regular dinner. 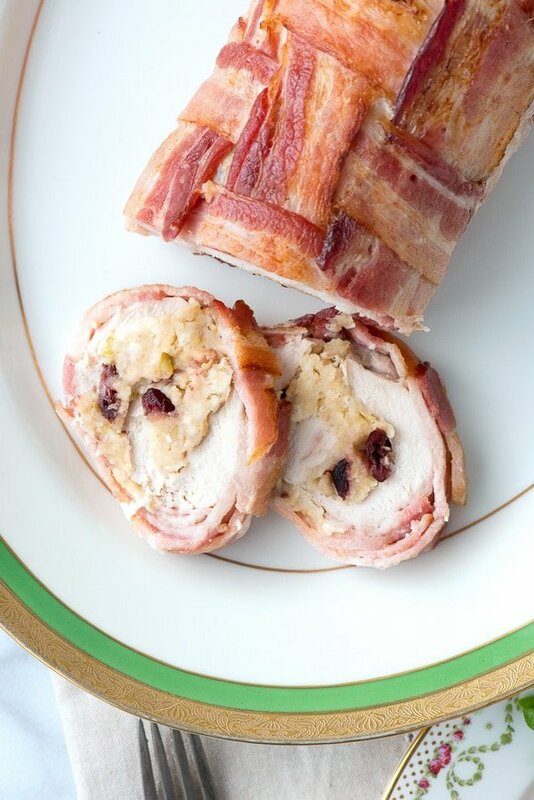 Turkey Roulade with Apple Cranberry Stuffing in a Bacon Weave is just that. Usually my M.O. 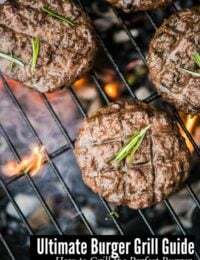 is to serve up easy recipes with big flavor. There are times when a bit more time yields an end result that’s worth the extra time taken. That is definitely the case with a roulade. A roulade is a unique dish that won’t soon be forgotten and lets your diners know you care. Don’t be afraid by the length of the recipe; I promise it’s worth it! A roulade (pronouned roo-lahd) is a dish that is cooked in the form of a roll. It can be savory or sweet. A roulade is stuffed with something between the rolls too. The exciting thing about a roulade, besides a great combination of flavors, is its appearance. When the roll is cut, the slices are served. They create a wonderful visual of the roll. A turkey roulade is a deboned, butterflied turkey breast, pounded to an even thickness; then lined with stuffing and rolled into round roll, usually tied with twine and roasted. When the roulade is done, horizontal slices are taken with turkey and stuffing as one. When it is cut, elegant and unexpected spiral slices are revealed. They are so eye-catching on the plate and really combine two holiday meal favorites into one! 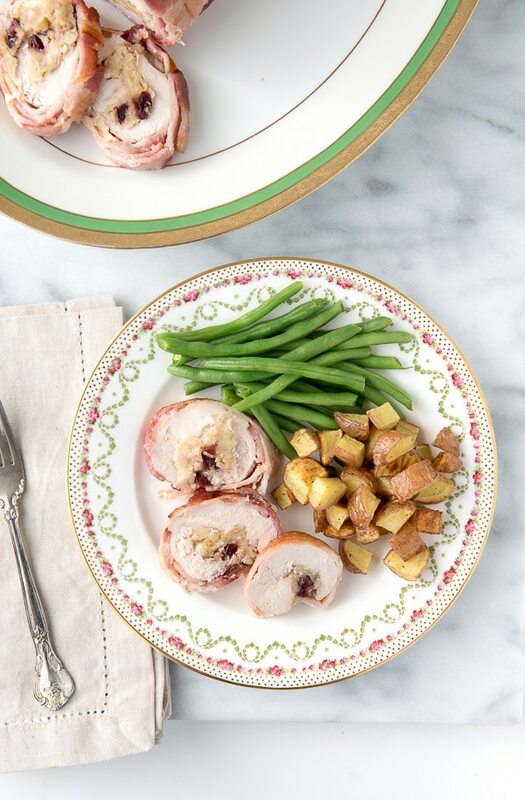 Adding Apple Cranberry Stuffing to this roulade recipe takes the flavors up a notch. Sweet, tart, comforting stuffing pair perfectly with the turkey. 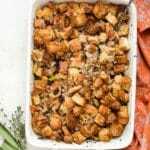 Unlike regular stuffing recipes which are cooked on their own, the stuffing for the roulade is prepared and cooked with the turkey. 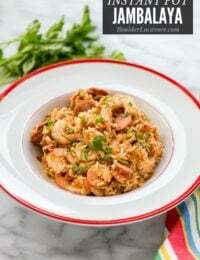 It allows the flavors to blend beautifully and shortens the overall meal preparation time. The stuffing may be made with either traditional wheat panko crumbs or gluten-free panko crumbs. The absorbency of each may differ. 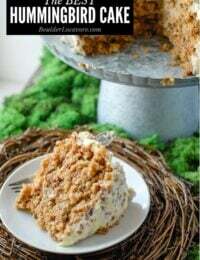 Follow the instructions and Notes if you are making a gluten version with wheat panko crumbs. This apple cranberry stuffing is made with dried cranberries. The great thing about this is dried cranberries are available all year so this recipes can be made at any time! The dried cranberries are soaked in heated orange juice! This softens them for a plump tasty element in the stuffing. It also infuses orange flavor into the cranberries as they plump up. I use a mini chopper whenever I can. To make preparation of apple cranberry stuffing even easier, use a mini chopper to chop the apple, celery and onion! I love using a bacon weave in grilling projects. 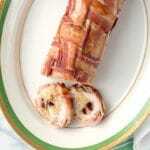 Why use a bacon weave on this roulade? And who doesn’t love bacon?! 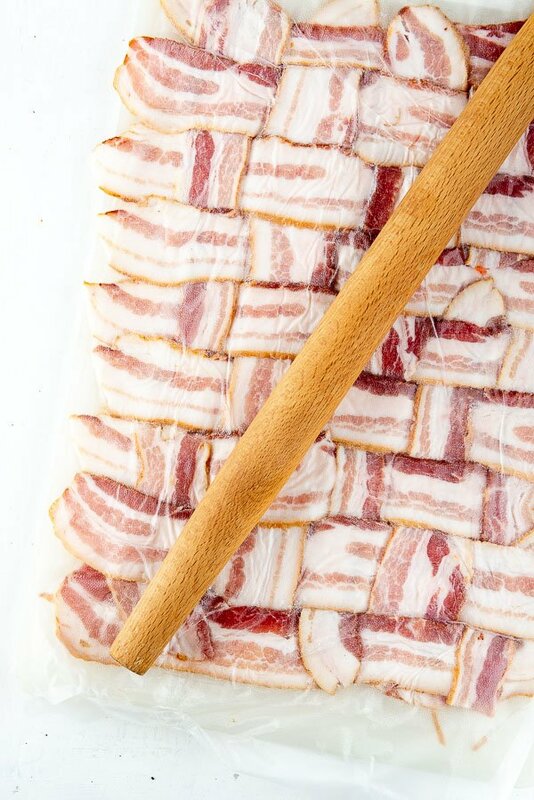 Strips of bacon are laid out horizontally with additional strips woven through, making a pork mat. Both for flavor and appearance, I love to use it when I can. This tutorial goes into more detail on how to make one: Everything you need to know about a Bacon Weave (including step-by-step photos)! rolling it all together to cook. I recommend having your butcher prepare the turkey breast. The recipe requires a deboned and butterflied turkey breast meaning the bone is removed and the breast is cut so it can be rolled into one solid piece. Meat counters at most stores have attendants who can do this for you. 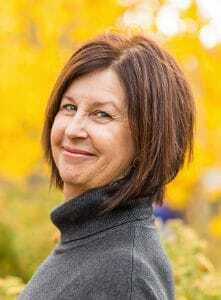 Stores like Whole Foods have experienced staff in butchery and will know exactly what you need. There is a video link in the instructions should you wish to debone and butterfly the turkey breast yourself. How Long does it Take to Prepare the Roulade? It takes approximately 30 minutes to make the stuffing, create the bacon weave and roll the turkey roulade together for cooking. How Long Does the Roulade Cook? 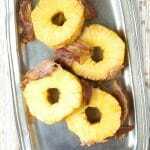 The cooking time is low and slow requiring about 1 ½ hours plus 5 minutes to crisp up the bacon under the broiler. Normally a roulade is secured with kitchen twine before cooking. 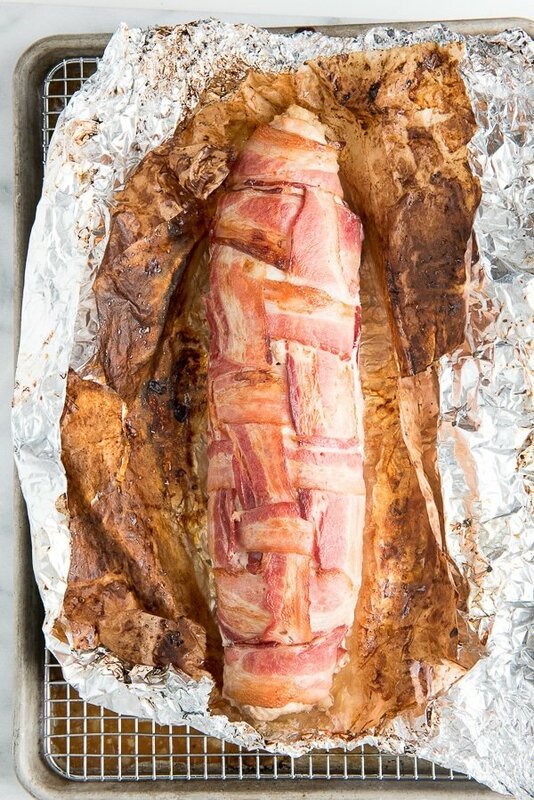 Instead in this recipe foil and parchment paper are placed down first followed by the bacon weave. The turkey roulade is assembled, placed on the bacon weave for final rolling. The parchment paper and foil fully enclose the roulade and the foil ends are sealed to keep it in place while cooking without twine. 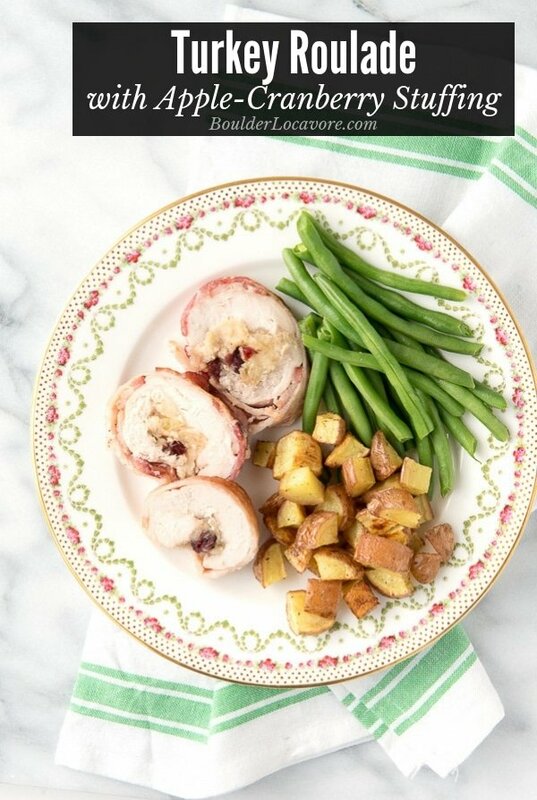 If you’ve made this Turkey Roulade with Apple Cranberry Stuffing recipe please RATE THE RECIPE below! 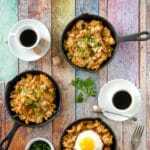 If you are making a gluten version with wheat panko crumbs.There is a link in the recipe instructions to details and a photo tutorial for making a bacon weave. It's not difficult once getting the hang of the weaving and a wonderful addition to the visual appeal of the roulade. Microwave the orange juice for 20 seconds on High (or until it is very warm). Combine the orange juice and dried cranberries in a small bowl covered with plastic wrap. Set aside. Preheat the oven to 325 degrees and place an oven rack in the middle of the oven. Equip a baking sheet with an oven proof rack (for cooking or cooling baked goods). 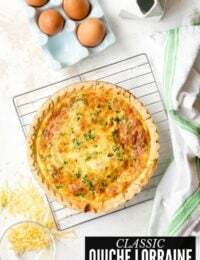 Cover the bacon weave with a large piece of plastic wrap and using a rolling pin roll the bacon mat so it is a uniform thickness, and all slices touch without any gaps. NOTE: Do not over roll as thin bacon can break. The mat will be much larger than before rolling it. Set aside to assemble the turkey roulade. Cover a hard work surface (counter top or large cutting board) with a piece of plastic wrap larger than the turkey breast and place the turkey breast on the plastic wrap. Using a flat meat tenderizer or a rolling pin, gently pound the turkey breast to a ½ inch thickness. NOTE: The uniform thickness allows consistent cooking of the roulade. Sprinkle the 1 teaspoon salt and ½ pepper evenly over the exposed side of the turkey breast. Spoon the stuffing onto the turkey breast and spread it evenly, leaving a ¾ inches (approximate) of the turkey breast exposed between the edge of the stuffing and edge of the turkey breast all around the stuffing. Gently lift the rolled breast onto one edge of the bacon weave. Using the parchment paper underneath the bacon, roll the bacon and the turkey breast onto the bacon weave, being careful to not roll the parchment into the bacon covered turkey breast. 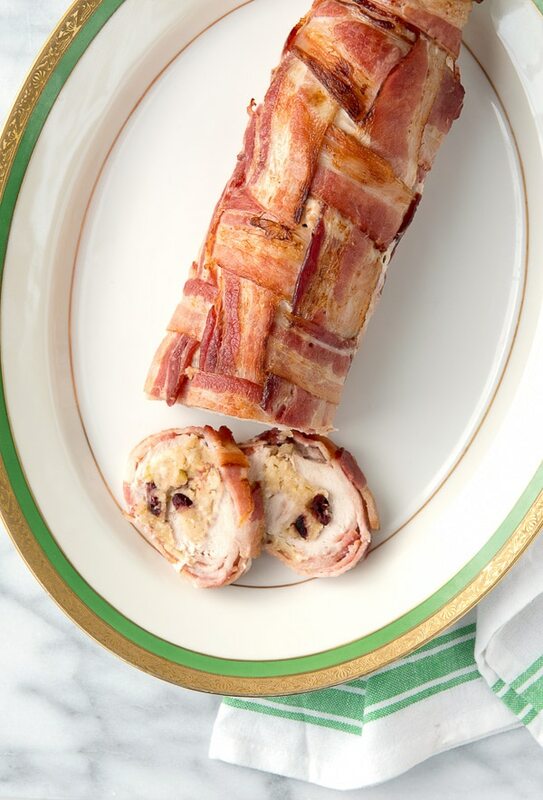 NOTE: Should the bacon weave not fully cover the ends of the roulade, wrap an additional piece of bacon around each end, tucking the end of the roulade inside. Refer to photo below. When the roulade has reached in internal temperature of 155 degrees F, slit open the top foil and parchment being careful not to slice the bacon weave (kitchen scissors are great for this). Peel back the parchment and foil to full expose the roulade (it is not necessary to remove the roulade from the cooking rack to do this). Poke holes in the foil abound the base of the roulade to allow any rendered bacon fat to drip into the pan below. Leaving the roulade in the middle of the oven, turn the Broiler on High and allow the bacon to crisp up (it will be fully cooked at this point but will not have browned); approximately 5 minutes (refer to photo). Remove the roulade and allow it to rest for 15 minutes before serving. Cut 1/2 inch slices horizontally to serve. The absorbency of wheat panko crumbs and gluten-free panko crumbs may vary. If making this with wheat panko crumbs, start with ¼ cup chicken broth. The stuffing when combined should be wet, not soupy and not just moist. If after adding ¼ cup the mixture seems to need more moisture, add more broth 1 tablespoon at a time. 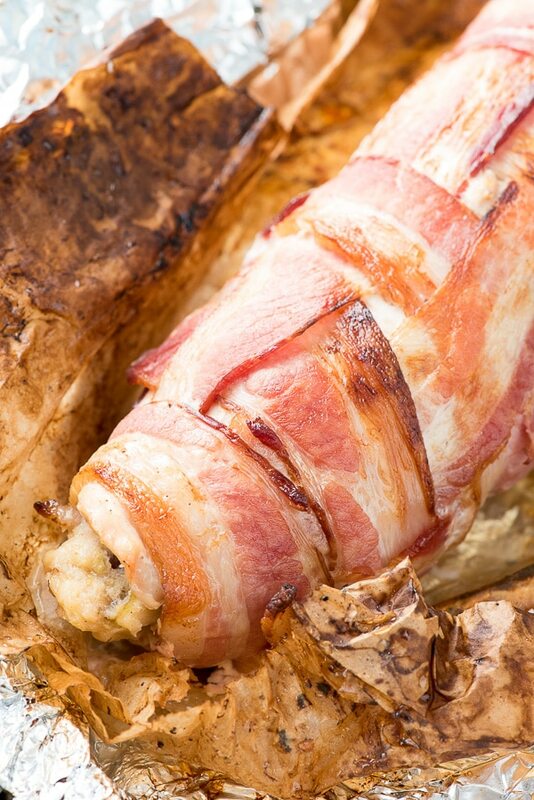 You had me at wrapped in bacon! Looks so delicious! All of my favorite flavors in one place <3 love this! My mum used to make Roulade for us when I was small. I loved it even back then and kind of miss her cooking skills. Thanks for sharing your recipe! This bacon basket weave rocks!! 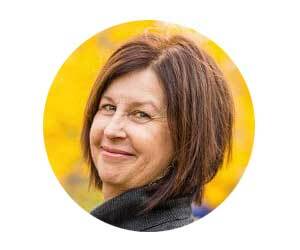 What a fabulous idea to infuse flavor and moisture into the turkey. I love it! This seriously wows at a dinner party! The bacon gives the turkey so much flavor! Just when I thought I couldn’t love bacon more. This sounds fabulous!! Adding it to our menu soon! Well hello there gorgeous. 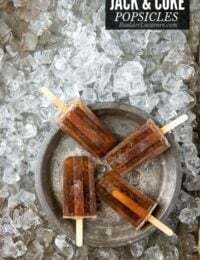 This is such a hit and a delicious recipe!! That looks divine! And that bacon – oh my! Love this one, and it has a beautiful presentation! The bacon weave makes this so fun and elegant for the holidays! So many of my favorite flavors in each bite!